Match ends, Indonesia 1, Mauritius 0. Second Half ends, Indonesia 1, Mauritius 0. Substitution, Indonesia. Hanif Abdurrauf Sjahbandi replaces Evan Dimas Darmono. Goal! Indonesia 1, Mauritius 0. Evan Dimas Darmono (Indonesia) right footed shot from the centre of the box to the top left corner. Substitution, Indonesia. Dedik Setiawan replaces Stefano Lilipaly. Substitution, Mauritius. Stéphane Nabab replaces Jonathan Justin. Jeremy Villeneuve (Mauritius) is shown the yellow card for a bad foul. Substitution, Mauritius. Kevin Perticots replaces Gary Noel. Substitution, Indonesia. Ilham Udin Armaiyn replaces Febri Haryadi. Rizki Rizaldi Pora (Indonesia) is shown the yellow card for a bad foul. Substitution, Mauritius. Fabrice Brasse replaces Mervyn Jocelyn. Substitution, Indonesia. Septian David Maulana replaces Boas Theofiluss Erwin Solossa. Jean Fabrice Augustin (Mauritius) is shown the yellow card for a bad foul. 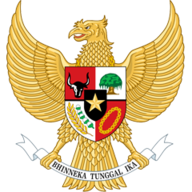 Second Half begins Indonesia 0, Mauritius 0. Substitution, Indonesia. Riko Simanjuntak replaces Irfan Jaya. 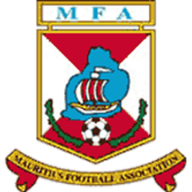 Substitution, Mauritius. Francis Rasolofonirina replaces Jean Jacques Patate. First Half ends, Indonesia 0, Mauritius 0. Adel Langue (Mauritius) is shown the yellow card for a bad foul. Substitution, Indonesia. Bayu Pradana Andriatmoko replaces Zulfiandi Zulfiandi.